Are you in need of cheap international shipping from Australia to Singapore? Have you made a purchase on your travels and need it shipped back to Australia? 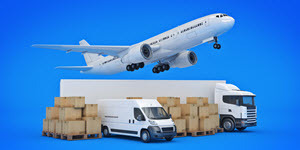 With help from PACK & SEND, you will get an affordable solution for your international deliveries. With years of experience and expertise, our dedicated team will advise you on the best approach when sending your goods. PACK & SEND will help you find the most cost-effective solution. PACK & SEND have ‘No Limits’ approach to your shipping needs. Regardless of size or weight, we can provide the most economical international shipping options for your goods. Our team welcomes oversized, fragile and bulky items, as well as one-off smaller packages. Years of experience and building a strong network means we can offer a flexible, comprehensive and custom solution. Most importantly, our service is cost effective, secure and reliable, giving you peace of mind. Hunter Valley, Newcastle: ... freight delivery services and complete packaging solutions for customers in and ... received with my awkward shaped parcel and would highly recomend them.